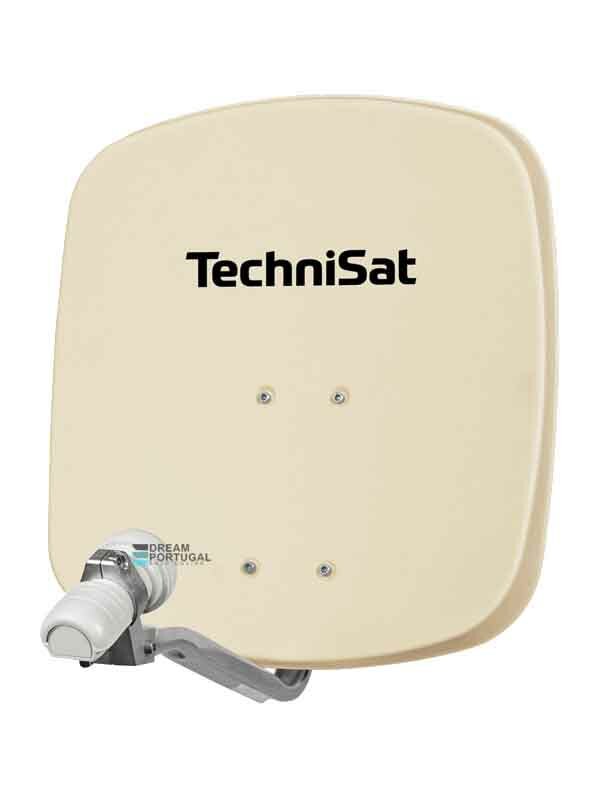 Technisat DigiDish 45 - Buy at dreamportugal.pt! The Technisat DigiDish 45 consists of high-quality aluminium and is powder-coated on both sides. The carefully calculated parabolic shape ensures that the reception performance of the DigiDish 45, which has a diameter of only 45 cm, is better than that of many 60 cm dishes - in spite of the much smaller size. The DigiDish 45 is - just like the DigiDish 33 - ideal for mounting on balconies. The pre-assembled mounting bracket ensures installation of the dish is quick and easy. Lower frequency range - 0.7 dB max. Upper frequency range - 0.7 dB max.